Not because the Saints won the Super Bowl, but not not because of it either. 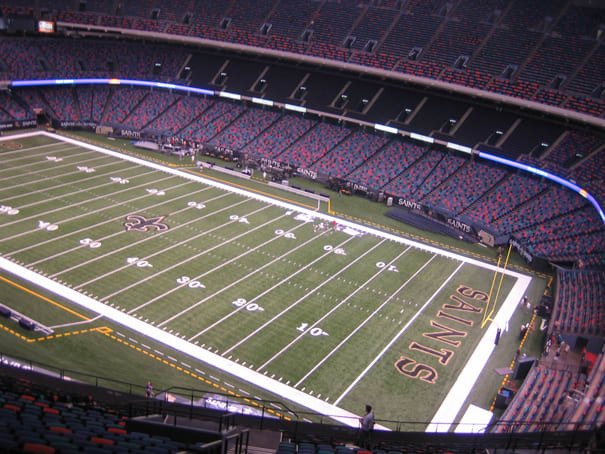 So the Superdome looks like someone left a huge yo-yo in one of the most beautiful architectural cities in the country. That aside, New Orleans knows how to throw a party, so given the right game, there's nowhere better to be than the 'Dome. And yes, it's the same Superdome that all those terrible, wretched things happened in five years ago, so dem Saints deserve to have some good times in there, and you should too.